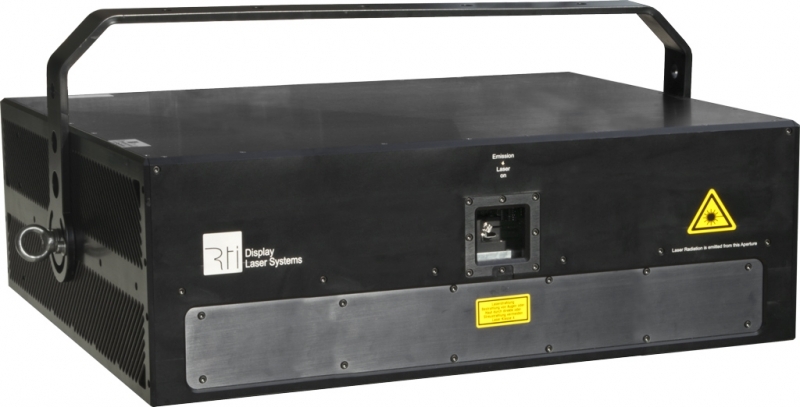 There are only very few really high power show laser solutions available in the market. Especially continuous wave laser systems (cw) are extremely rare. 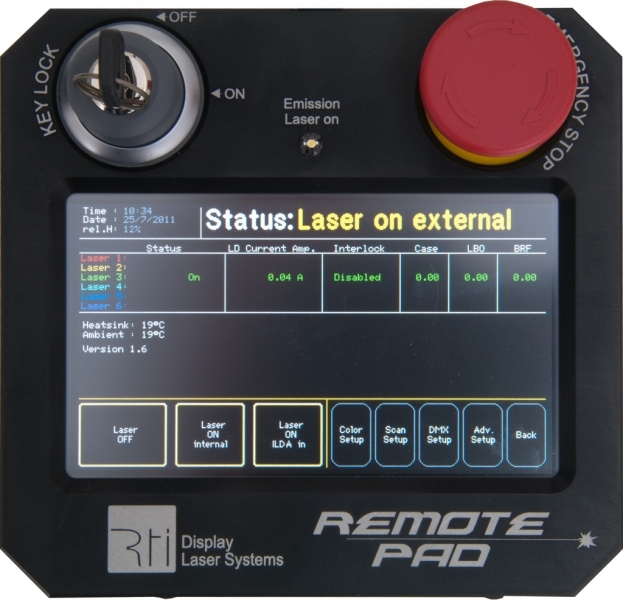 With power levels far over 100W laser power it is decisive if the power given is cw or pulsed: Pulsed lasers usually come from industrial use and are not meant for being utilized as entertainment lasers. The power values given for these pulsed lasers usually reflect the maximum impact power in a pulse, which is necessary for e.g. welding materials or cutting things. In show laser industry (entertainment lasers) it is not important to have the power in a small pulse of milliseconds, but in a continuous way. 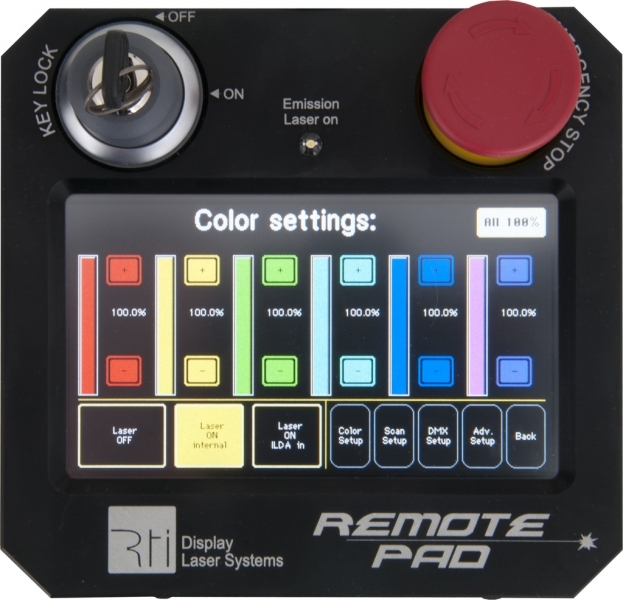 - always use the certified, original extra small RTI OPSL driver to run the modules in stable cw mode and with linear color fading. What an extremum! Up to 600 W power from one laser projector! This system is air cooled - no water cooling necessary! No special power plug necessary - it runs with CEE 16A and K fuse! No need to worry about outdoor use - the housing is IP65 waterproof! Extremely low divergence, so beam widening over the distance is reduced to a minimum! Reliable technology - OPSL Coherent Taipan modules have long lifetime and are very reliable! laser: OPSL Coherent Taipan, 532nm. control mode: ILDA; optional DMX, auto, LAN, SD-card. scanner: Specially modified scanning system at 20kpps, CT-6260H. scan angle: ca. 40Â° max. beam: ca. 12.5mm / 1.3mrad. accessories: detachable remote control pad. power supply: 85-250V AC 50/60Hz. 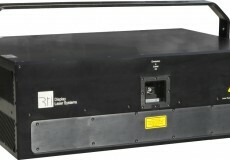 External power supply with CEE 16A-(3P+N+E) connector is provided with the laser system. Sales price without tax: â‚¬ 911.250,00 excl. shipping.